1. There are a variety of casting methods to produce aluminum die casting and magnesium alloy casting, because of the low melting point of aluminum and magnesium alloy. So in the design of their structures, you should consider which kind of casting method to cast this casting at first, in order to consider the relative structural manufacturability. 2. The aluminum alloy and magnesium alloy casting should try to use thin wall structure, and strive to the balance of wall thickness. This is helpful to prevent shrinkage cavity shrinking and improve the strength of the metal castings. But you can also thicken some part for the unbalance of wall thickness to set feeding aluminum and magnesium alloy casting. This can help filling shrinkage to guarantee the quality. 3. The aluminum and the magnesium alloy is easy for oxidation and suction. The density is small, so as to make the static pressure of the metal fluid is small and be difficult to exhaust. Therefore, aluminum and magnesium alloy casting is easy to generate hole and oxidation slag, reduce the mechanical properties and gas tightness. So designing the casting structure should avoid big plane, and the transition should be gentle, and avoid causing the turbulence of metal liquid. 4. Because of the low melting point of the aluminum and the magnesium alloy, to those castings that have some certain gas tightness requirements, you should avoid using core support to fixed core when design. 5. The compression strength of magnesium alloy is higher than its tensile strength. So you should adopt asymmetrical section and box to undertake the compressive stress. 6. Pay attention to adopting the method of double metal die casting and potting casting to solve the problems in the structural design of the aluminum alloy and magnesium alloy. 7. The corrosion resistant of magnesium alloy is poor. Often use surface treatment to improve the corrosion resistance of magnesium alloy castings. Gravity Die Casting is the process of pouring liquid metal using Earth’s Gravity and hence it’s name. This method started on our end based on our customer’s demand leading us to develop a very difficult casting weighing almost 70 Kg in Permanent Mold for a German Company. Very few foundries can design this size of casting much less make it export quality. We are proud to say that soon we designed another such casting thereby establishing our niche in higher weight category giving an undue advantage for people with quality requirements in heavy castings. In order to satisfy the demands of our customers from around the world as well as in the domestic market we developed the Tilt Pour technology providing, engineering as well as aesthetic parts. Due to our in house building of the machine we have significant control over machine. This helps to significantly improve the quality and speed of casting manufacturing as the functioning of the machine can be customized over several parameters. Final result – better lead times and consistent quality. c) LPDC (Low Pressure Die Casting). Our goal is to keep on adding newer technologies and keeping in line with this principle we added the LPDC technology to our belt. Often when X-ray quality castings, dynamic movement (high r.p.m) is a requirement or some other quality standards dictate the usage of LPDC. GC MOLD was established in 1979 as a Private Limited company in the China. is Die Casting China company, Mike yang and his Engineers are manufacturers of Aluminium die casting, magnesium die casting and zinc die casting of various grades and sizes and weight ranges varying from 0.5 kg to 100 kg in permanent mould, Gravity Die Casting, Low Pressure Die Casting, sand casting and high pressure die casting. The company provides end to end solution for Aluminium die Castings to customers including: Die Making, Die Casting: Low Pressure Die Casting & Gravity Die Casting (Permanent Mold Casting), Machining, Heat treating, Shot blasting, Testing & Inspection. The company presently caters to the Textile Industry, Automobile Industry, Electrical Industry, Plastic Industry, Cooling Industry, Compressor Industry, Petroleum Industry amongst others. Mike and his Engineers have modern furnaces, casting machinery, assisted with Computer Aided Design and modern C.N.C. machining centers. 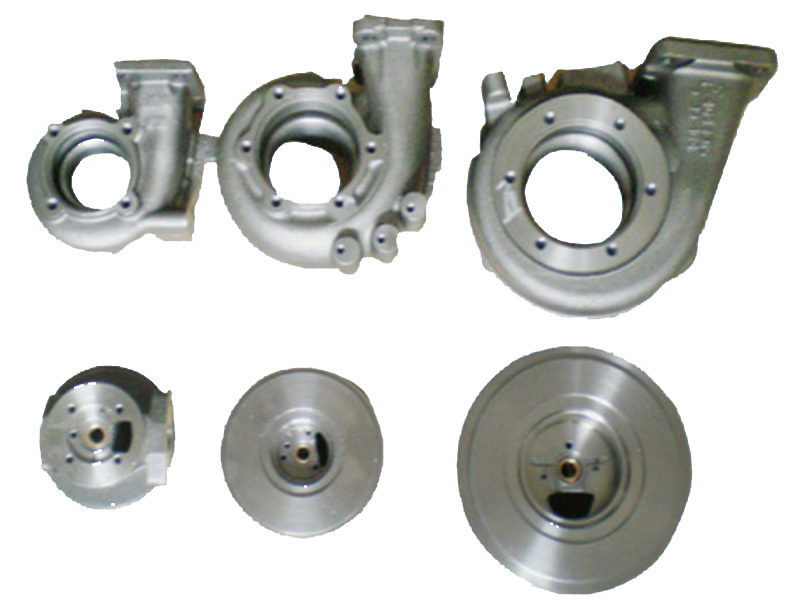 We also supply castings in fully machined condition. We have developed an expertise with Helium Leak Proof Castings with maximum leak rates of only 5 X 10-6 mbar l/s. We help our customers in developing and improving their designs of various engineering components with highest quality, functionality with cost effectiveness. Dr. Dinesh S. Patel, Managing DirectorDr. Dinesh S. Patel is a Phd. in Metallurrgy (1975, University of Missouri, Rolla, USA) with a Masters in Metalurgy (University of Missouri, Rolla, USA) and B.E. Metallurgy (Pune). He is the founder of the company in 1979 and through his vision the company has grown many fold since its inception. He has an experience of 40+ years in the field of castings. His experience with Aluminium die casting zinc die casting and magnesium die casting, Cast iron, SG iron, Steel castings, SS castings has been comendended in the field of metallurgy. Through his vision and planning the company continues to grow and provide the customer with the best service and quality in the industry today. Mr. Nipun D. Patel, DirectorMr. Nipun Patel is a Masters in Electrical Engineering (M.S., Penn State University, USA) and Instrumentatin and Control Engineer (B.E., Nirma University). He has varied experience in the medical, manufacturing and signal processing fields. He has worked for Harvard Beth Deaconess Research Center, Boston for 7 productive years as a Research Engineer. Before joining Dr. Dinesh & Ramesh Egnieers Pvt. Ltd. he has stayed in the USA for more than 10 years gaining valuable experience and knowhow of the latest in manufacturing and medical sciences. Mr. Nipun Patel brings along maturity, experience, knowledge and innovative operations approach to the company – the company which is on the stepping stone of exponential growth. Aluminium die casting zinc die casting and magnesium die casting industry for more than 5 years. Alongwith his experience abroad he brings to the company strategic operational excellence and a drive for innovation.